From Wu-Tang to Black Hippy, hip-hop has seen its fair share of supergroups over the years. But what if a flock of footballers teamed up off the pitch to form their own rap group? Seeing as how just about every player wants to be a rapper, we won’t discount it from ever happening. But until it does, we’ve created our own, uniting what we think are today’s top footballers who rap. Although Americans have largely been followers when it comes to the beautiful game, there’s one lane that a famous U.S. No. 8 paved for the new generation. Clint Dempsey’s “Don’t Tread” is perhaps the most iconic footballer/rap crossover to date, and players all over the world have started to set aside their boots to try their hands in the booth. Because greatness in football is all about the collective, we’ve compiled a six-man roster of the footballers that, if united, would make an unstoppable rap supergroup. With Snoop Dogg’s stature, Lil’ Yachty’s whimsical approach to life, and the charismatic drip of A$AP Rocky, the newly minted World Cup champion is tailor-made for wax. Like every face etched into the Mount Rushmore of hip-hop, Paul Pogba is a student of the game (and a well-connected one at that). 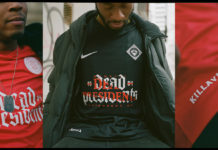 La Pioche championed Migos’ signature dance move on the European stage, swapped jerseys with Drake, and collaborated with Desiigner to launch United’s Away Kit last year. His candid freestyle with Griezmann at Euro 2016 is a glimpse that the Frenchman is a maestro both on the pitch and over a smooth snare and bass. And if his stellar, focus-induced form in Russia is any indication, haters will not want to see Pogs in album mode. Memphis Depay thanked his 5 million Instagram followers last week in a fashion Drake would appreciate, rapping about his accomplishments while draped in a red suede coat with gold fringe (Drizzy rapped, “All I need’s a f***in’ red jacket with some zippers,” in his 2010 cut “Over”). Although some listeners may have responded with something reminiscent of Depay’s signature celebration, his bars are surprisingly competent and his “chee!” at the end is downright reminiscent of a grinning 6 God. Having proven at Lyon his ability to thrive in the face of criticism, the naysayers might want to watch out for the next time the swaggy Dutchman decides to light up a cigar and pick up the mic. The 18-year-old American’s first senior goal for Paris Saint-Germain was reminiscent of Isaiah Rashad’s signing to Top Dog Entertainment — an industry giant unveiling a prodigy. 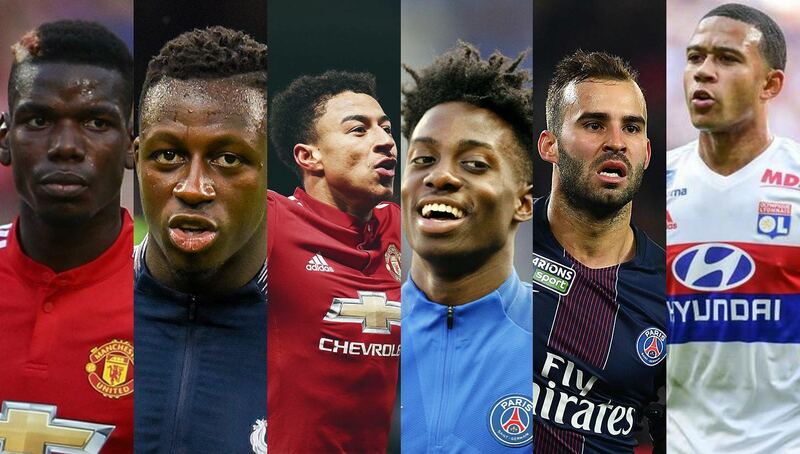 But Tim Weah dreams of more than becoming the first Ballon d’Or winner from North America. In Petits Princes, a recent PSG mini-documentary about three rising talents at the club, Weah opened up about his Dr. Dre-like ambitions of starting his own record label, all to give kids a chance at success through music. Like Dre, he also rates himself behind the mic, and for good reason. The studio interview features a sheepish Weah layering savvy triplets over Goldlink’s “Crew” instrumental, making a strong case for the youngster as an blossoming emcee as well as a rising U.S. star. Let’s just hope he doesn’t wait 10 years like Dre to deliver on his promises. Combine Pusha T’s savage mentality and Lil’ Dicky’s affinity for parody and you have the Joel Embiid of world football — Benjamin Mendy. 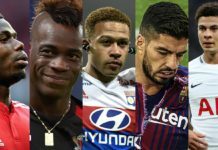 Personality isn’t enough to make our group however, and it wasn’t until leading a crowd in “Ramenez la Coupe à la Maison” (around the one-minute mark in the video above) that the Man City left back announced himself as a candidate for our list. Although his opening flow is about as reliable as his ACL, Mendy’s charisma carries him through the chorus and inspires a wonderful reaction from the crowd. We shouldn’t expect Ludacris-level output from him, but Mendy should be able to leverage this old school call-and-response style for a few club sing-along hits each year. Every rap supergroup needs a hype man. That man is Manchester United’s Instagram-famous, milly rocking midfielder Jesse Lingard, also known as #JLingz. Lingard’s capacity for social media banter is unparalleled — in the last few weeks alone he challenged Ronaldo’s throne for Best Abs in World Football™ and put his teammate Romelu Lukaku on blast for posting a clip of himself rapping (if you’re curious about Rom’s lyrical ability, just notice that the big Belgian is not featured on this list). That being said, Jesse’s inclusion isn’t just about fun and games. 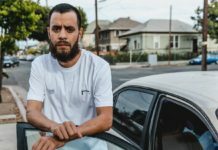 With a successful personal clothing brand and a long list of sponsors, his business acumen gives him a unique Tyler, the Creator-like edge in an industry that is starting to reward self-promotion. As a multi-faceted member of football’s rap supergroup, he’ll most likely have to split his time between the stage, the merch table, and setting up new lucrative partnerships behind the scenes. And hey, we didn’t expect his form last season — he might surprise us with some bars. 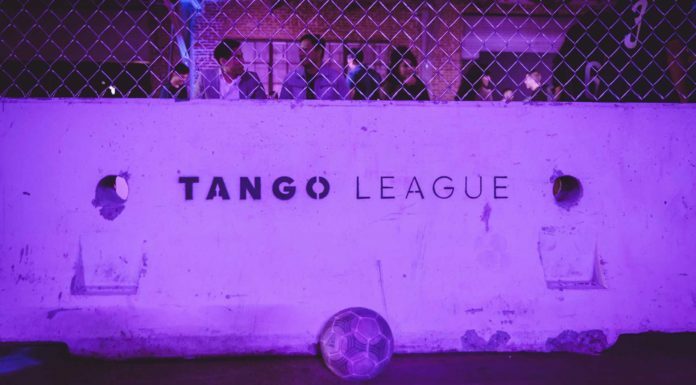 Move over Pitbull — this Las Palmas native’s twisting career has seen him play at more clubs around the globe than Mr. Worldwide himself. Jesé’s musical flare mirrors his positive approach to football, inviting defenders to dance to upbeat drums instead of his usual deft feints and pacy step-overs. Although his time as half of reggaeton group Big Flow was about as prolific as his stint at Stoke City, his limited discography (like his footballing career) shows serious potential. Sure, the video to his 2014 song “La Mano Arriba” hasn’t aged quite like his fellow countryman Sergio Busquets, but the vibes are undeniable. Plus, living in a post-Despacito era where even Drake has started singing in Spanish, we’d be remiss to leave our rap supergroup sans a little Latin flare. Who would be in your footballer rap supergroup? Sound off in the comments below.